Helen Moore Sewell was born on June 27, 1896. 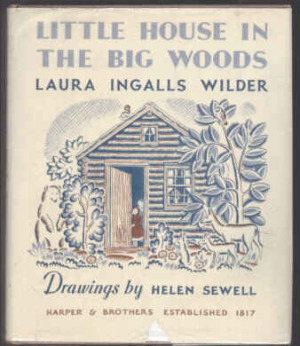 Many will recognize her artwork from the original Little House books, some of which she co-illustrated with Mildred Boyle, but her career began much earlier. In fact, by age 8 she had already decided she was going to be an artist, and by 12 she had become the youngest person to ever attend the Pratt Institute. Some of her first serious sales were to the Christmas and greeting card markets, and in 1924 she became a published children’s book illustrator with The Cruise of the Little Dipper and Other Fairy Stories. Children were always an important part of Sewell’s life. “It was natural that I should turn to making pictures for children,” she once said. “Good art for children must be intelligible to them, so I have always gone to children for my cue and inspiration, and I have found them a rewarding and appreciative public.” Ms. Sewell died in 1957.